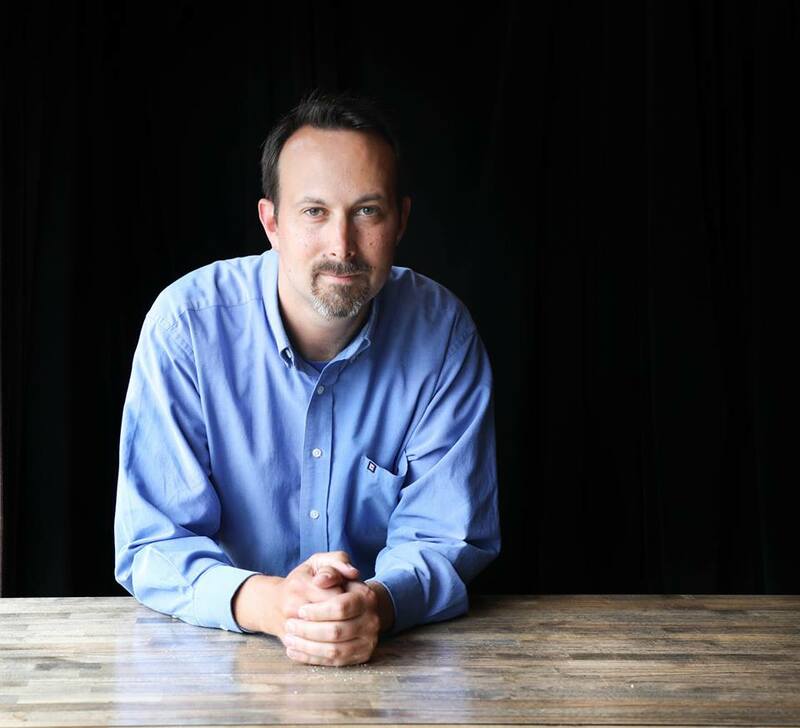 Business Coach Seth Getz at the intersection of life and business. I love it when a client sends me a question that makes me go, "hmm." I’ve posted an example -- see what you think and post your ideas in the comments section. 2. The prospect may send future referrals to my competitor, helping my competitor and potentially hurting me. I have no problem referring to those who aren't competitors (either because they offer different services or work at very different budget levels), but I'm not sure if I should refer prospects who aren't a good fit, or just tell them, "good luck finding someone." Before I attempt to give an answer to this, let me first lay out a bias that will influence my answer. I have previously written about the scarcity vs abundance mindsets and how they affect your worldview and thereby affect the way you design and show up in your business. If you read that post, it will be obvious that I hold to the abundance mindset and that will affect the way I answer this question. For those who didn’t read that post, the Abundance Mentality, is the belief that there is plenty out there and enough to spare for everybody. It results in sharing of prestige, recognition, profits, and decision-making. It opens possibilities, options, alternatives, and creativity. This is both bias and belief because I can't scientifically prove to you that this answer is the right answer, and I can find anecdotal evidence pointing to both the positive and negative points of this issue. But, it's my belief that holding onto the abundance mindset will give both you and I a much better outcome over the course of our lives. By the way, all this is also based on the assumption that the competition in mind is one that you respect and would trust yourself. If you don't respect and trust your competitor, then you should never refer a potential client. So, looking at this question through the perspective of abundance, here’s how I see it. 1. There is plenty of business to go around. 2. If your competition is truly a good fit for the prospect, then you will give them the greatest value by referring them to your competition. Giving the best value to your prospect shouldn't be underrated, and it will come back to benefit you in many ways such as being seen in the marketplace as a trusted resource. 3. If they find your competition on their own, which they will have to do in order to satisfy a need, then they will most likely never come back to you. In this scenario, the competition did something of value, and you never even tried to help them. 4. 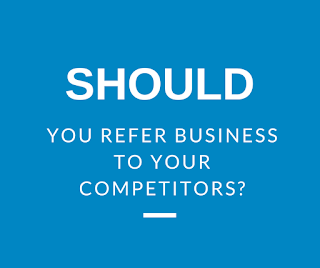 If you do provide an honest referral then that leaves you in a very positive position in their minds. As far as future work goes, this leaves you in what I call the "on-deck circle." This places you next in line if they have any future needs or if that competition isn't able to meet future needs. 5. It's a gutsy move that exudes confidence. It says: I know the value that I have and what I bring to the table. I also know my limits, and I am not scared that others have different strengths. Give it a try sometime. If you don't think you should take the project, then tell the prospect that you may not be the best fit and give them the contact information for a competitor who you would trust. You can even tell the prospect that they are your competition. People will respect this move both for its courage and its integrity. They can tell that you are looking out for them even at your own expense, and that kind of reputation tends to get around. If you want to engender some further goodwill in your industry, go ahead and tell your competitor of the prospect you are sending their way. Shock your competitor with your confidence and integrity-- it may come back to benefit you in some strange ways in the future. Over the years I have read hundreds of leadership related books, attended many conferences and seminars all teaching people the habits, mindsets, and skills of being a leader. The common thread in this area was a somewhat nebulous idea that the objective was to be an influential person, to having power and clout. To be able to make a difference in the world both for yourself and others. learning the skills to win friends and influence people in order to gain power for yourself that you can then use for whatever you think is best. But there is something missing from the mix and that is an element I like to call the Cincinnatus quality. Around 400 BC when Rome was a fledgling city-state republic run by consuls and the senate, there was a dispute with a tribe called the Aquei, and the Aquei army was headed towards Rome. The Romans quickly organized their army and marched out to meet them. The Romans won the first few skirmishes but didn’t realize they were being setup for a trap. As they pursued the Aquei they were led into a large valley with only a few gaps among the steep mountains, the Aquei had prepared barricades to block the entrances and trap the Roman army away from any supplies. When Rome found out about this, they were in a panic. They were afraid that their entire army would need to surrender, leaving the city extremely vulnerable to conquest. The Roman senate decided that because of the present emergency they were going to appoint a dictator. Now surprisingly a dictator in the Roman Republic was an actual government position appointed in times of crisis. A Senate system doesn’t work well in times of crisis so they appoint one man to become a dictator who has complete control over all areas of government. The person they chose was a retired consul named Lucius Quinctius Cincinnatus. He is know in history as simply Cincinnatus, and we have a city named after him called Cincinnati. After the senate appointed him, they found him plowing in his field. 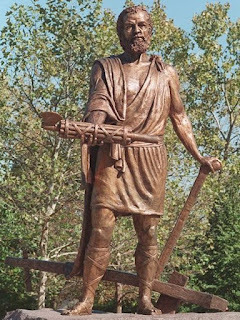 Once told about the problem and the appointment, Cincinnatus raced to the city, raised a second army, and went out to save the main army. Cincinnatus had sent scouts out to assess the situation and realized that the Aquei had divided their army to protect the different passes. So Cincinnatus chose the pass that best allowed him to approach without giving the Aquei time to assemble a large force. He was able to fall on that portion of the army, defeat it, and free the main army. Using that army, he quickly surrounded and forced the Aquei to surrender. When he returned to Rome at the head of the combined triumphant army, as was the custom, an enormous parade was thrown with Cincinnatus in a Chariot at the head of the procession wearing a laurel wreath on his head. Cincinnatus had won. He now had all the position, power, influence, goodwill, and political capital he could ever need. So what did he do? Two days later he disbanded his army, resigned his commission, turned control back over to the senate, and went back to plowing his field. 400 years later in the Roman province of Judea there was an itinerant prophet who was gaining a great deal of attention and followers through his preaching. He had his growing group of loyal disciples and everyone, it seemed, both rich and poor, came out into the wilderness to hear this man preach. He was doing what all the leadership development technics say. He had great personal discipline, he had developed a compelling message, and he was very skillful and bold in getting his message out there to the world. He had an amazingly bright future ahead of him. Then one day another man walked by and this itinerant preacher, named John, said to all of his followers, “behold the lamb of God who takes away the sins of the world.” This made some of his disciples curious, so they left John and started following this other man, Jesus. Soon Jesus was also preaching and drawing crowds, causing more disciples and people to leave John as they started listening to Jesus. 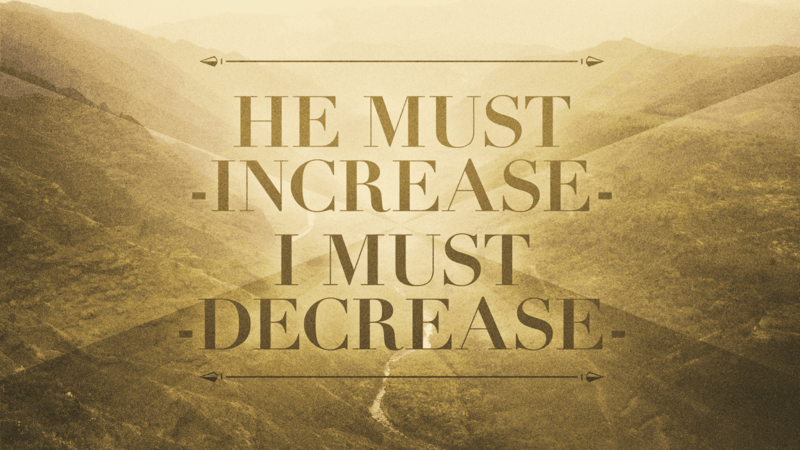 John’s Disciples were concerned that his star was being eclipsed and his influence was waning, but John said this: “He must increase, and I must decrease.” John knew that his leadership wasn’t about making a name and following for himself. He was the voice in the wilderness, preparing the way for the Lord. He knew that it wasn’t about him but about the one that he would prepare the way for and baptize. Jesus would become the person of significance while John would later rot in prison until he was beheaded, all the while content that he had done his job. This is Cincinnatus type of leadership. In our country's history, we have a man who was called a Cincinnatus type of leader. In the dark fledgling days of our war for independence, George Washington was giving charge of a ragtag army that was attempting to defeat the current world power. After he accomplished this herculean task, he found himself in an interesting position. He was the undisputed, most-popular person at the head of a victorious army in a nation that had no organized form of government, no structure, with nobody to run the affairs of state. 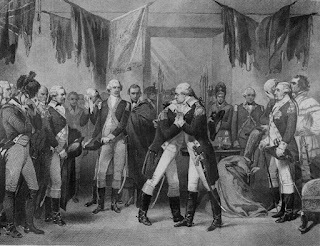 Washington's officers asked him to declare himself the king for at least a time until the job of governing could be sorted out. And if he had done that, while a few would have had misgivings, almost no one would have stood in his way. It would have been so easy. George Washington chose the Cincinnatus path and resigned his commission as leader of the army and returned to his farm. When the first attempt at governing the colonies failed and they decided to call a constitutional convention, George Washington was asked to be the president of that body, after which he again went back home. It was no surprise to anyone that he was the first person to be elected president. And they would have let him keep right on serving until he died, but Washington realized that he needed to pass the torch. After just two terms he stepped aside and allowed for what, at that time, was an incredible rarity of a peaceful organized transfer of power to an unrelated person. 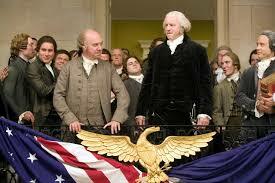 His Cincinnatus-like precedent of only serving two terms was honored by all but one of his successors. These three men all exemplify the quality of leadership that realizes that it’s not all about you. It’s not always you that will become the recognized, respected, leader. Sometimes our leadership ability is the ability to see the bigger picture than what we want and what we can do. There is a time for us to put ourselves forward, and a time for us to retire, and we must have the wisdom to know the difference. The Cincinnatus quality of realizing that our leadership may be all about preparing for and being a champion for someone else. In my own life, one of the things that I have noticed is that having kids has hindered me from doing all the “leadership things” that I want to in the communities that I am part of. But am I missing the point? Maybe the point of my leadership isn’t about me being the big influencer with all the clout and prestige. Maybe it’s all about me preparing my kids and even preparing the way for my kids? Maybe the best thing I can do is be someone else’s champion and supporter, instead of seeking a position of power for myself. 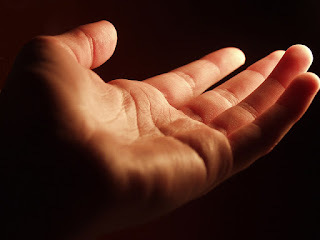 The leadership development material I have read so much of gives lip service to helping others but underlying it seems to be the idea that the reason to help others is that it will, in turn, will give us the influence we so desire. We are trying to gain influence but to what end? 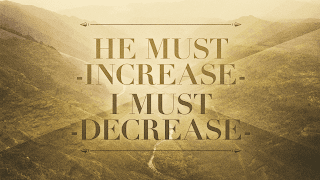 To gain more influence? Being willing to give up power, being willing to step aside, being willing to promote someone else is the leadership quality that we don’t talk much about. The job of the CEO is managing the white spaces on the organizational chart. Not trying to do and be everything for that business. But stepping aside and leaving your baby in the hands of someone else to care for it is one of the most difficult things that an entrepreneur will ever have to do, but it's often exactly what needs to happen for your small business to grow. Trusting your management team and staff to make decisions that you've always made yourself. Who can blame you for thinking this is difficult? After all, it was your idea, and it was you who took the risk to actually start this venture. It was you who invested your savings. It was you who co-signed with the bank and credit card companies and put your personal assets on the line. And it's you who stays awake at night staring up at the ceiling, knot in your stomach, worrying about everything that could go wrong. There will come a point for every small business owner to begin trusting those around you to make decisions that will have an effect on your business. 1. As your business grows, your time and energy will continue stretching to a point where you will either fall over from exhaustion or begin making costly mistakes yourself. 2. Your business will never mature beyond where you have the ability to take it and never grow beyond where you are capable of overseeing every little detail, micromanaging the business into ongoing smallness and irrelevance. The list never ends, I know. Launching a venture requires thousands of decisions— mostly small, some large, all made by you. What you did was amazing. Not only did you make all these decisions, but if you made it past the startup stage then you made enough right decisions. Way to go. There is some Irony in this because your ability to micromanage is what made you successful at the startup stage but your need to micromanage as you grow is the very thing that will keep you from being successful at the next stage of business. If you don’t find a better way it will end up either killing you, killing your business or damming it to perpetual infancy and irrelevance. But as you grow, as the client base, number of employees, number of widgets shipped all grow to the point where it's impossible for you to make every decision, there isn't enough time in the day. Even if you could, would you want to? 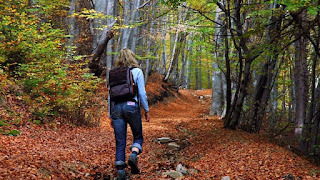 Living on the edge of burnout, always striving but knowing that every step forward is one that is going to take away from your life not give you more life, and isn't that the reason you started this crazy business in the first place? to give you more life? and yet your Frankenstein of a creation is the very thing that will end up killing you and keeping you from living the life you want. Business pundits are forever touting the importance of being flexible and nimble. What that means, though, is that you and your business must be willing and able to let go of behaviors that were successful in the past and are no longer working. In order for your business to get to that next level, you are going to need to reinvent your business and that starts with reinventing yourself because let's face it, you are your business, your business is you. Your identity is so wrapped up in the business that it's hard to see where one stops and one starts. You need to change your mindset and the way you show up in your business in order for the business to develop and grow. "When I started [my first] company, it was a one-man business. There was a time when I did every job in this company. I wrote the programs, I sent out the bills, I did the accounting, I answered the phone, I made the coffee. As the company has grown, I do fewer and fewer of those jobs. And that's just as well, because I was less competent at them than most of the people who are doing them now. I'm the reverse of the Peter Principle in the sense that I've finally risen to my level of competence, which is that I don't do anything very well and now what I do extremely well is nothing." Your job as the founder/leader of the business is to lead it into the future your ability to lead it is directly proportional to your ability to let go of things. Your willingness and ability to let go will determine both the potential of your business and the level of freedom that you will enjoy in your life. Now if you are like most business owners, you are already shouting at the screen saying, "I'm completely ready to let go. I can't find anyone who is willing and able to do it like I do"— let me say, in the most gentle way, that the problem isn't your people or your lack of them. The problem is you and your business. You and your business aren't ready for them yet. Trust me on this, when you show up differently in your business, slowly, but surely, the leaders will show up. What's that old saying about when the student is ready the teacher will appear, well when the opportunity is ready the leader will appear. How do you show up differently in your business? Start out by not trying to find another one of you because that won't happen, Cloning is not yet a viable option and I wouldn’t count on that. For years, by default, you have designed the business around you and what works for you and you always ended up frustrated that no one else was able to work it like you did. Don't expect that people will think for themselves if they have always had you around to do their thinking for them. Stop answering their questions. You've made the business decisions for this business for years. You’re the fastest and the best. Stop it. Make room for Your employees to make decisions, make room for them to fail, allow them to fail, allow them to see the consequences of their failure, then give them the space to make another decision and possibly fail again. That's how you did it, right? You made thousands of decisions and some were right and some were wrong and some had consequences. How do you expect them to grow into leaders who can lead your business if they never learn the way you did? Yes, you should be able to shortcut some of their mistakes, but you can't eliminate them. How do you give them space to become leaders? How about by not showing up? And I know that in your mind the only reason this business still works is that you are always there to make sure that it all works. If that's the life you want, if that's the business you want, then keep doing the same thing because that's what you're going to get. How about not showing up at all? How's that for a scary thought? Who would step up to fill that leadership vacuum? Will they show up the first day? Nope. The second day? Probably not. Will they show up and immediately do the kind of job that you do? Nope. Just how long did it take you do get to the point of leadership that you are now? This shift is a hard one to make, but you need to understand that as the leader of the company, your most important contribution is to lead the company into the future— without you. Bo Burlingham, the Editor of Inc. Magazine, once said that “great companies don't always focus on supporting the community, instead they build a company that is so awesome that the community molds itself around the company.” This is true but it’s only one side of the coin. A business can’t help but be affected and altered by the community in which it’s located. A business is made up of people, those people come from and live in a community, the culture of the business can’t help but be altered based on that community. The nature of a business, the business model, and the values of the leadership of the business, in turn, can’t help but affect the employees and the people of their community. This combination of business and community is similar to marriage because in marriage your lives are never fully separated from each other. I’m not sure how valid it is but there are all those stories and pictures of married people beginning to look like each other after many years. It’s the same thing with business and the community. For a number of years (96-04), I lived just outside of the twin cities of Benton Harbor and St. Joseph (St. Joe). These cities are situated on either side of a river just as it empties into Lake Michigan. In St. Joe, the city is located on a bluff with amazing sunset views over the lake. St, Joe was a truly happening place in the early part of the 20th century. It’s surprising as you look at some of the histories of that time; the small town of St. Joseph nationally broadcast boxing matches of heavyweight champion Jack Dempsy, as well as being a destination for the wealthy and influential of Chicago. St. Joe was one nicknamed “Al Capone’s Playground” because of all the time he and his lieutenant spent there. This rich history is all evident as you look at all the large buildings that popped up between 1910 and 1950. But in the time I lived there, it was a very different place, old mansions and stone buildings boarded up and abandoned. There was never any reason to go downtown, the shopping area was on the edge of town near the interstate. The only real reason I would go to St. Joe was to get to the beach. The city had amazing potential because of the river and lakeshore, and close proximity to Chicago, but here it was, a place that you really wouldn’t be that excited about living. During this time I took a trip out to Seattle and I noticed that so many buildings, wings of museums and events were funded by Microsoft, they seemed to take an interest in the life of their local city. Coming back to the St. Joe area, I started looking around for the same thing but couldn’t see any evidence that any local large companies were interested in the life of the local city. St. Joe is headquarters for Whirlpool Corporation-- you can see their name on a number of buildings around the city and their HQ location on the lakeshore, but no real evidence of their awareness of their home city. 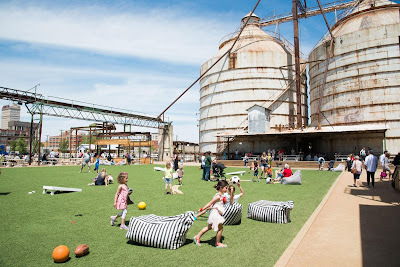 I didn’t think much more about it because there are so many reasons why a city like Seattle flourishes and a city like St. Joe stagnates and decays, I didn’t really put that much thought into the connection between businesses and communities. Then I moved up the Lake Michigan coastline to the city of Holland which was also at a river mouth leading into Lake Michigan and roughly the same size as the twin cities area. Both had a mixture of industry, tourism, and farming for their economy. But Holland was flourishing, the downtown was beautiful with many reasons to visit and most of the buildings were occupied and in great shape. So while I could see the parallels, I didn’t think that much about it because as I said before, there are many reasons why a city flourishes or decays. But the more I was in Holland the more I heard stories about a man named Edgar Prince the founder of Prince Corporations. Prince began his career as an engineer at a company that made tool and die equipment, but in 1965 he opened his own shop and started not only creating machines but new products as well, his company invented the lighted mirror on the visor that is ubiquitous now and became a large manufacturer of interior auto parts. They built it up into the largest business in the Holland area employing thousands. In 1996, Prince then sold the company to JCI for $1.35 billion. Along the way, Prince showed himself to be a person who cared a great deal about his employees by creating a work that was ahead of its time. Employees held access to a health and fitness program where they encouraged exercise and fitness with financial rewards and even built an impressive exercise room in their facilities to allow employees to exercise. Prince realized that the community people lived in was a significant factor in their quality of life and therefore their quality of work, so he set out to improve the city. He did the usual sponsorship of community events but he went much further than just giving money when asked for it. He looked at the core downtown area of the city built up in the late 1800’s and early 1900’s with beautiful architecture but in the 1980’s was a hollowed out worn out and crumbling city center. Everyone began moving their businesses to where the mall and all the new chain stores and franchises were located, leaving the city center to crumble and waste away. He started with one iconic old bank building that was about to be torn down, he bought it, rehabbed it and leased it out on extremely favorable terms to the businesses Prince thought would be attractive and spark interest back into the area. He did this to building after building, amassing for himself what is now a very valuable set of properties. But Prince never ran his properties in a way to extract the maximum dollar value out of them. 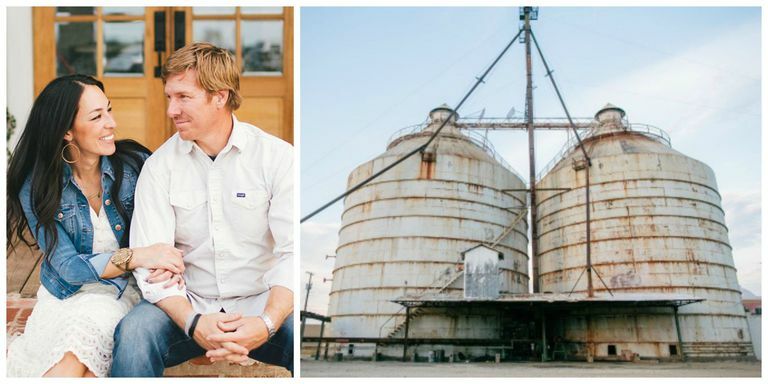 He had a bigger vision, one of a thriving community that would have those local businesses in the city center that give each town their unique style and flavor. He knew that to both attract and retain the best employees, he would need to have an attractive community with good educational options where they could live and raise their families. Today, Architectural Digest has named the Holland Downtown to be the most beautiful in Michigan. As he was revitalizing this downtown corridor he used his engineering brain and his Dutch roots of efficiency and not wasting anything to come up with a novel idea at the time of installing a snowmelt system of hot water pipes underneath the pavers on the sidewalks and the asphalt of the street throughout the downtown area. So that through the long winter and the lake effect snow our downtown is completely snow free, meaning no plowing, no salt, no shoveling, no slips and falls, no ugly snow drifts where the snow is piled up. This made it into a wintertime downtown shopping experience and a wintertime runners paradise. His engineering and dutch frugality came into play because he pointed out that there was a city-owned power plant close to the edge of this corridor and that power plant produced hot water as a by-product that they had to vent into the air after it helped them turn their turbines. 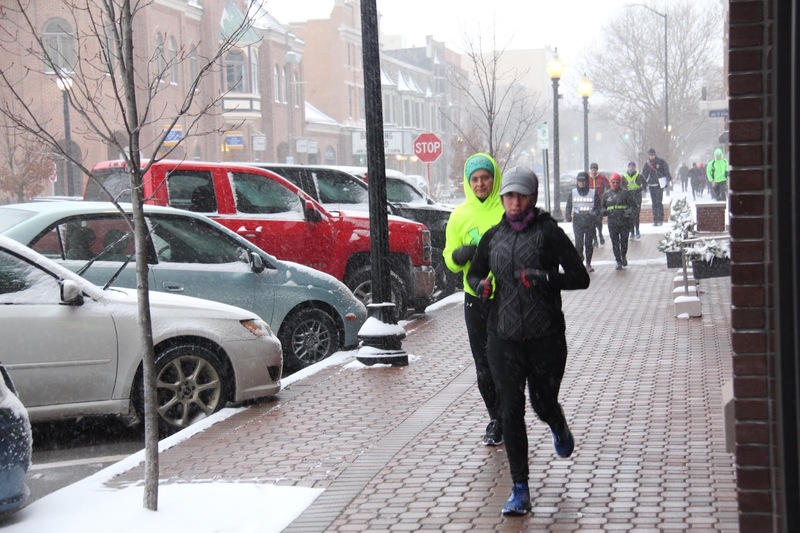 His suggestion was to use that leftover energy in the form of hot water and pump it through the downtown to melt the snow, making the ongoing cost of the snowmelt, not an issue. After thinking it through and designing it he gave his plans over to the city along with a 250K check asking them to look into it. 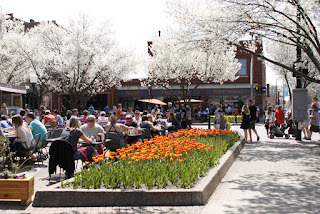 They did and after raising more funds from him and others they set out on this aggressive rebuild of tearing up all the streets and sidewalks, dramatically improving the aesthetics at the same time as they built this snow melt network. The snowmelt network proved to be an amazing hit and generated lots of positive attention for the downtown area, it became a Christmas shopping destination partly because of this unique feature. In the years since, they have expanded the snowmelt system so that today the little town of Holland, Michigan has the largest snowmelt system in North America. Other cities come and check out what the city has been doing for the last 20 years because of things like the snowmelt system that traces back to Edgar Prince and Prince Corp.
After Prince sold the company, he did something unusual. Each of the 1000’s of employees received a check from Prince Corp. based on a formula of years worked and contribution. These were not small checks, they started out around 50K and went up into the millions for some. They had no obligation for this and the employees had no expectation of these checks. It was just Prince Corps way of saying thank you for what you have done. What happened next seems obvious in retrospect. Those employees who had been used to working in a very creative and open culture were now working for JCI corporation with a very different culture, but something was different from other corporate mergers. These employees held a large check in their hands. Soon new engineering and design companies started up, new small specialty manufacturing companies launched and various other support businesses put out their shingles. High-quality employees + Prince culture + Sale to JCI + Large bonus checks = a wave of new small businesses starting in Holland forming the backbone of the economic resurgence that we have enjoyed for the last 15 years. I realize I have over-simplified the success of these two similar cities down to the effect of one significant business, but I believe that these two corporations through their involvement and non-involvement greatly altered the outcomes of these two communities. But some good news for St. Joseph. Whirlpool Corp., realizing they could not hold the best young talent in their city, began taking an interest in their community. 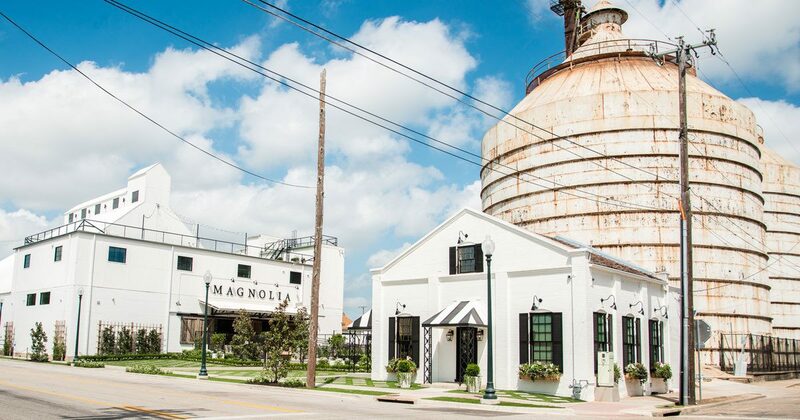 They have gotten behind a number of initiatives to revitalize and improve the downtown ecosystem, their success is evident in the number of new businesses occupying buildings on the main strip that once sat idle. If they just look north along the lake shore they could see a good example of how Edgar Prince and his company did it. We are conditioned to be consumers. We get this both from our human nature of “me first”, what do I want thinking, and all the marketing and advertising that surround us preying on those selfish instincts. But how do we use those same instincts to create rather than just consume? How well do you remember the short fidget spinner craze? Every kid and some adults had to have a fidget spinner to play with. I began seeing kids playing with them and within a week my son came back from his 2nd-grade class and told me that he really wants a fidget spinner. So we start checking them out. We went to the store and after some difficulty, we found them for $19. We decided to check online and find them on Amazon for between $8 and $15. Now normal consumer mode is, you go to the store, you see something you like, and you buy it. I wanted it, I bought it. Mission accomplished. Advanced consumer mode is you see something that you want, you look around for the best price and then you buy it, congratulating yourself that you saved money, and ignoring the fact that you just spent money. So saving money really wasn’t a savings at all just a reduction of the amount you spent. I wanted to show my son something else and so we checked out the Alibaba site which is a great place to pick up products from overseas wholesalers. We found fidget spinners that you could buy in large quantities at great prices, then we found one seller whose minimum quantity was 5 and the price was $1.75 each. Now we could have slipped back into consumerism and purchased a larger quantity and walked away feeling good about the deal we had gotten. But I wanted him to see the bigger picture. 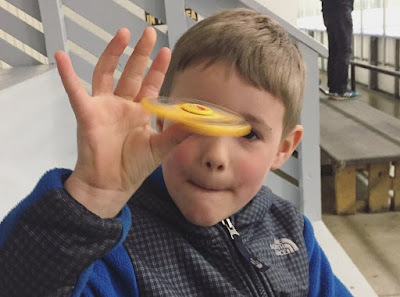 I wanted him to take that instinct of “I want something” and understand how others wanted things too and so we had a conversation about other kids. Do the kids in his class want some of these too? We talked about him possibly buying these at these low prices and selling them to others in his class. So, he decided to go for it. I placed the order and he went to his piggy bank and brought me $8.75 for the 5 fidget spinners. Three weeks later they arrived and he obviously had fun playing with them. But the next morning he took them with him in his backpack. Now he had already told a few of his friends about them and so the first day he sold 2 for $5 each and by the end of the week, he sold a third one. He decided to give one of them to his sister and of course, keep one for himself. This meant that while he had to wait for three weeks before he got one, he now had one for himself, he gave one away to his sister and he helped three kids in his class get one at a very low price compared to the stores. Plus, he walked away with a profit of $6.25. Standard consumerism means he pays $19 for a toy. Entrepreneurialism means he helps others get one for much less then they would have and he walks away with a toy and a profit. We talked about doing the whole thing again and making some more money. And this led to 2 conversations. Understanding the temporary nature of a fad. I talked to him about what a fad is and how they come and go, sometimes rather quickly and since he had seen this one come quickly but didn’t have enough life experience to see fads go, I told him stories about how other fads had come and gone. And we realized that this fad would fade in time. His natural market for selling these was limited and he realized that almost every one of the kids he knew now had a fidget spinner and trying to sell more, while it’s possible, would face increasing difficulty. There are times to take your small easy profit and walk away instead of always reaching for more and bigger profits. Being an entrepreneur doesn’t always mean that you have to start a business. Sometimes it just means seeing a need and realizing that you can find a solution to that need for yourself and others. But it requires you to see beyond your own, me first, what do I want mentality and think about what others want. Because if you help enough others get what they want, you will be able to get what you want. Today Christian still talks about fads and points out things that he wonders might be or become fads. He is still dominated by the “me first”, what do I want mentality, (aren’t we all? ), but he is now looking at the world and seeing opportunity to make money while helping others where before he saw only what he himself wanted. There are times when you are in situations where none of the outcomes are very desirable and it seems you must make the best of a bad situation by choosing the lesser of two evils. But maybe, just maybe there is another path out there if you use your imagination. In 1992 Southwest Airlines faced a high stakes dilemma. It's much-advertised slogan. "just plane smart" was, unfortunately, too similar to the "plane smart" slogan already being used by Stevens Aviation, an airline sales company in South Carolina. It seemed that a lawsuit was imminent. But a lawsuit is how ordinary CEO's settle their differences. 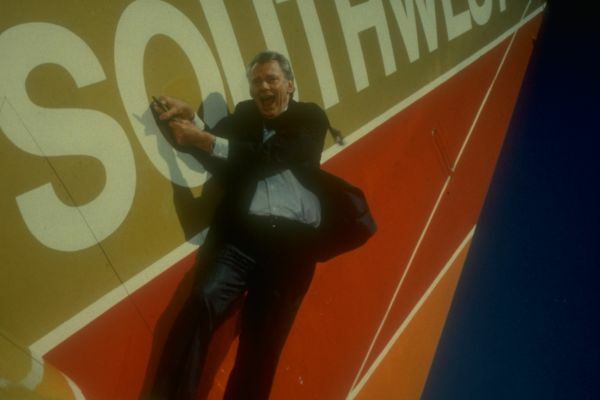 Herb Kelleher, Southwest's (crazy like a fox) CEO was no ordinary CEO. Along with the CEO of Stevens Aviation, he staged "Malice in Dallas". The two men actually agreed to arm wrestle for the right to use the slogan! The newspapers and TV journalist jumped on the story giving each company enormous publicity. Amid much fanfare and pomp, Southwest's Kelleher lost the match. With the crowd cheering and chanting, he was carried off in a stretcher. And what about that "plane smart" trademark? Stevens Aviation agreed to let Southwest use it anyway. By trying something a little crazy Herb not only solved the problem, avoided litigation but he made it so that both companies received a lot of great publicity. Too often when confronted with a problem we can only see one path ahead of us. in this case all of Herb's lawyers were telling him to get ready for a long drawn out lawsuit but Herb was a guy who was willing to think outside of the box and he let his mind wander until he found another possible path. Yes, one that was a little crazy, but that's what made it so awesome. 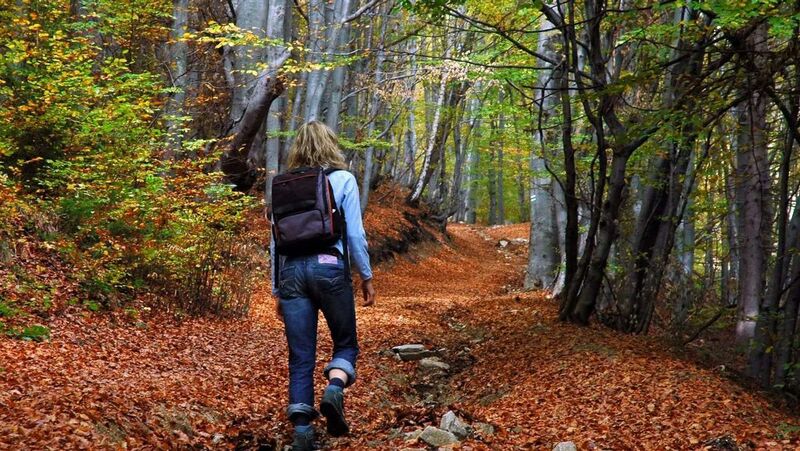 When it seems you only have undesirable paths in front of you then maybe it's time to try something crazy. 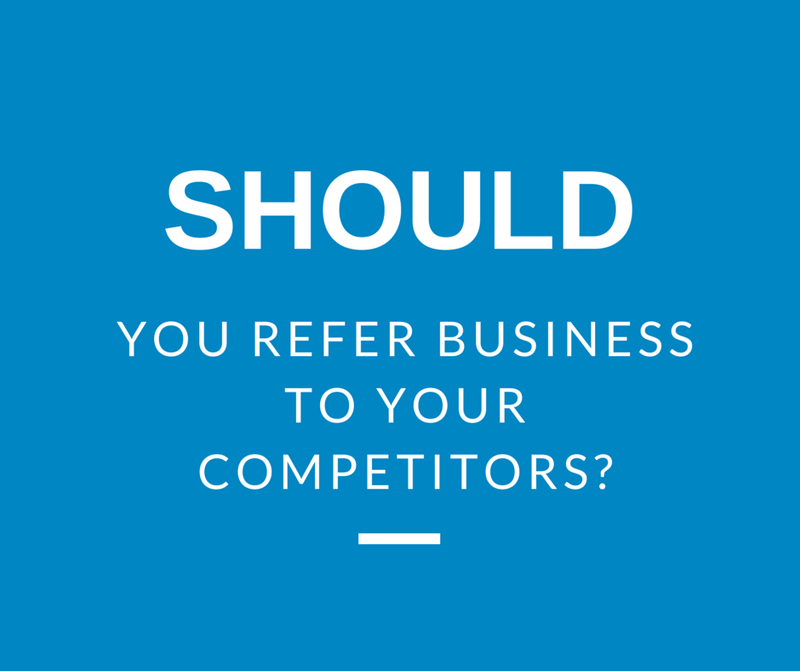 Should you refer business to your competition?